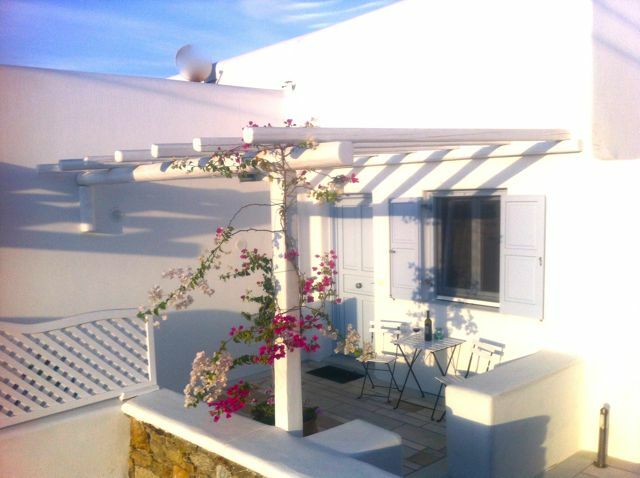 This is a 10 year old house in Mykonos and situated only a 1 minute walk (100 metres) to the Beach. It is on a quiet road and is part of a small complex of Apartments with a shared Swimming Pool. The Beach is beautiful and very romantic by night. During the evenings eat or drink at several Tavernas where the chairs and tables are placed on the sand. Near to the Beach is Ornos Village which has a Bakery, Butcher, Supermarkets, Pharmacy, ice cream parlour and motorbike rental. There is easy access to several other beaches by bus, motorbike, and water taxis. 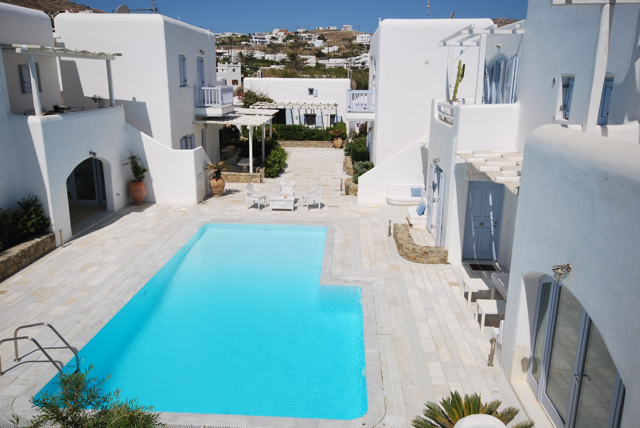 Mykonos Town is only 10 minutes on the bus and provides an alternative location for eating, drinking and partying. 80sq metres of external patio area which has three terraces with Pergolas. Minutes from amenities of Ornos such as Supermarket, Pharmacy, Tavernas and bars.